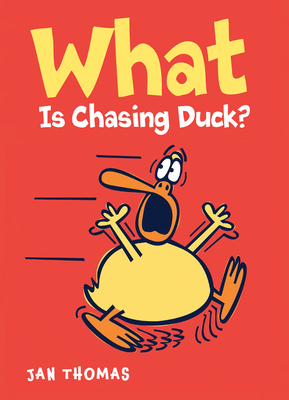 What is chasing Duck? Is it something wild and hairy? Does it have big teeth? Who will help protect Duck? Featuring Jan Thomas’s wonderfully wacky humor, rowdy repetitions, and hilarious characters, this book is sure to have young readers laughing out loud!